Sliding door kits and sliding door gear now available for various types of door applications. Wall mounted tracks are a great way of saving space as they slide across the existing wall and you do not need to create a new opening as almost of our sliding door tracks can be installed into existing openings. 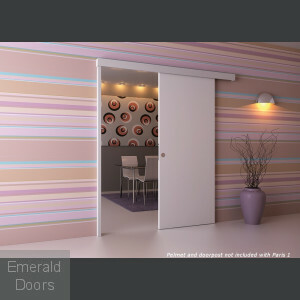 Call one of our Door Experts for free advice.